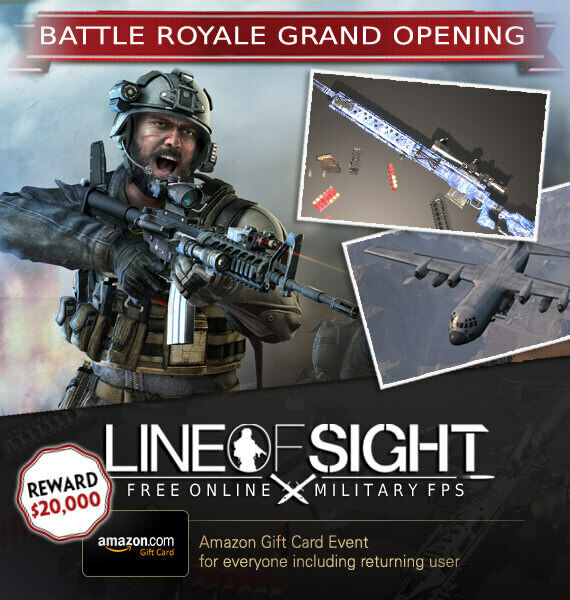 Line of Sight is Launching An Amazon Gift Card Giveaway Event in Celebration of Its New BR Mode - Tough Games! Want to win an Amazon Gift Card? Line of Sight's got you covered! Line of Sight, the next-gen online FPS game that features many unique and innovative systems, is going to launch an Amazon Gift Card Giveaway Event which will start from Feb. 4th to 18th (for 2 weeks) to celebrate the brand-new ‘BR Mode’ update. The rewards will be given to the top 3 players on the rank-based leaderboard after 6 weekly missions are completed. Plus, random players may also get the special prizes if they are lucky!